Math word problems are so frustrating that even parents dread seeing the mathematical paragraphs appear on their fourth grader’s homework assignments. If you hate doing word problems as an adult, then you know they’re no picnic for your 9-year-old child. Approach the task with enthusiasm so that your student will follow suit. Adopting a winning attitude is half the battle in math. You need to remember that math is all about logic—and numbers. Follow the numbers, and the word problem isn’t quite as confusing any longer. Question – Read the problem to determine what the question is. Information – Determine what information you have. Clue words – What words tell you the math process to use. Equation – Use the information, question and clue words to write an equation. Check your work – Does your answer make sense compared to the given information and the question? Once your child can learn to use this process on a regular basis, you will find that he has much more success with word problems. Students who can pair these clue words with the math process will be much more successful with 4th grade math word problems. In order for a child to gain mastery of word problems, he needs practice. Simply throwing a sheet of word problems at him is not going to do the job, however. He needs a way to practice that is engaging and enticing. Thinkster Math, an iPad-based math tutoring program, is an excellent option for this. Thinkster provides personalized math tutoring covering all math topics, including word problems, and designated tutors provide instruction to ensure that students make adjustments as needed when practicing. Students who use Thinkster are engaged in their learning and enjoy excellent gains in difficult math concepts, such as 4th grade math word problems. Sometimes visualizing the problem can give the student the tools needed to solve it. For problems with small amounts, you can use math manipulates to help your child picture what is happening. For larger amounts or measurements, draw a diagram. This action gets additional learning processes involved and helps make the word problem a visual concept for the child to consider. The key to making fourth grade math word problems solvable for your child is to make them understandable and then provide the right practice and support. It can also be worthwhile to get your child a math tutor. By doing so, you will be able to help your child succeed at mathematics. 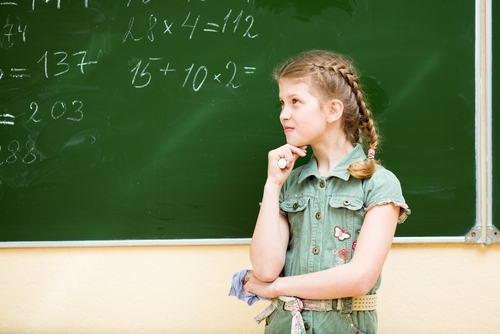 Is your child struggling with 4th grade math word problems? Here is what you can do to help. Next ArticleWhy do some kids find Kumon® Math boring?